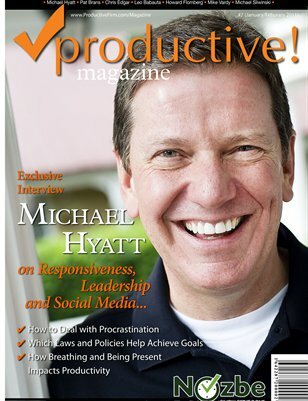 Seventh issue of your favorite Productivity Magazine with Michael Hyatt - CEO of Thomas Nelson Publishers and famous blogger and social media expert. This theme's issues are leadership, responsiveness, laws and guidelines that govern productivity. Enjoy and make sure to bookmark this one and share with your friends!